Chana futures have gone down. NCDEX chana prices have slipped to the bottom of MSP. SMC Comrade at the beginning of business was the target near to Rs 3,200 gram, which has been achieved. NCDEX chana declined by more than 3 percent has come close to Rs 3,160, which is the lowest level of the past 15 months. Chana July, August and September futures also declined near to 3 per cent. Even today, a sharp decline in Jeera. NCDEX Cumin has 1.5 per cent to Rs 1.3000. Cumin increased arrivals in the spot market price of Rs 13,000 is also going down. Cumin seeds produced in the country is projected to grow this year. 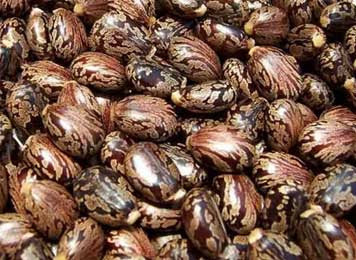 Castor seed is increasing decline. Castor seed futures fell nearly 3 per cent level touched a low of Rs 3118. Castor seed in the past in just 10 trading days has declined by 10 per cent. Castor seed: Expected to fall more on yesterday so you can sell. Mentha Oil: Sell menthaoil on positional.